This 30-mile trail along an abandoned railroad grade begins in Danbury, Wis., and travels north through Minnesota before looping back east. 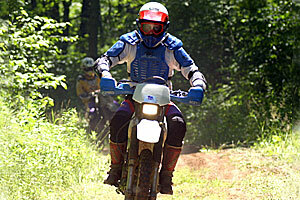 Connections to OHV trails in the St. Croix and Nemadji state forests, along with a wide variety of landscapes and terrain, make this trail a popular destination. Camping is available in both the St. Croix and Nemadji State Forests. The Gandy Dancer Trail is maintained by the Minnesota Department of Resources. Parking and trail access east of Nickerson, outside Kingsdale or within the St. Croix State Forest.